In the moments of merriment, the indiscretions of indulgences silently take their toll on our health. We may not feel it at the time (or even the next morning), but alcohol’s stealthy effects can speed the hands of time and make us more prone to the ravages of aging and chronic disease. 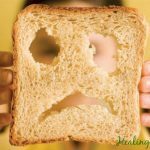 But as you may have read in a previous Healing Gourmet article, there are simple dietary things you can do to have your drinks (in moderation!) and protect your liver, too. A recent research study published in the journal Carcinogenesis evaluated the protective effects of grapefruit juice on a liver exposed to one of the best-known chemical assailants—aflatoxin (AFB1). In the study, lab animals were given grapefruit juice 5 days before being exposed to aflatoxin. The animals receiving the grapefruit juice had 65% less DNA damage to the liver than those not receiving grapefruit juice. What’s more, the animals getting the juice also reduced total DNA damage by 74% compared with the animals not drinking grapefruit. Enjoy fresh grapefruit to help guard your liver and boost your intake of antioxidant nutrients like vitamin C and flavonoids. Prefer grapefruit juice? To reduce your sugar intake (which we strongly recommend! ), mix 1 ounce of grapefruit juice with 7 ounces of sparkling spring water. Kelley, I appreciate your shared personal experience, your pre-med education and your mission. I too have looked at modern medicine as symptom oriented, too compartmentalized and having success measured by band aiding symptoms with big pharma little pills. I am 58 and was diagnosed with RA around 30 years old, with acute edema that moves around and joint destruction in my left wrist. It took me out of two things I really loved: JetSki racing and 20 years of guitar playing. My gut problems began about 5 years ago and have gotten worse each year, probably due increased stress and my love of candy, cookies, chocolate and quality margaritas (not that cheap crap). I love veges and fish and other good foods but after many doctor trips and imaging bills with no help, I turned to to reading on the internet about gut flora / candida imbalances and I sound like quite the candidate. So I am on my vegan cleanse phase now and hope for the best as I proceed through the process. I’ve been 5 days with no alcohol, no sugar or sweeteners, not even fruit (which I love) mainly eating greens and green non starchy veges. I am picking out recipes to try from your web page tonight. Thanks for all your info and continued work. I’m bound to find an answer here somewhere.